Rice Military - Knox St.
1 home left at $634,900! Sandcastle Homes offers new home buyers spacious Inner Loop Houston TX homes at Knox Street in Rice Military. Enjoy being in close walking distance from restaurants, bars and retail shopping. The Barcelona floorplan features a completely open floorplan. This home has a true entry and open layout. There is a functional breakfast room located off the kitchen and open living and dining room. Upstairs there is a large gameroom and three bedrooms, which all have walk-in closets. The Geneva is our most popular floorplan. It has some fabulous new, modern features, including two separate generously sized walk-in closets in the master bedroom, both an enclosed study and an open gameroom upstairs and a covered back porch! The Geneva also offers a large island kitchen and a grand entrance to the master suite. 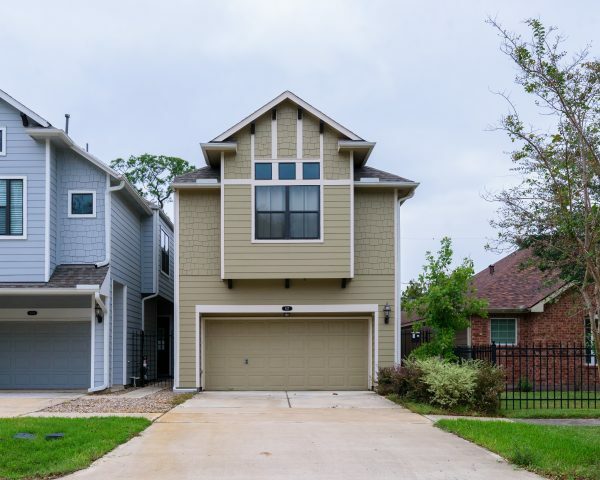 Contact Sandcastle Homes today to inquire about available Inner Loop Houston TX homes at Knox Street in Rice Military. View our current available homes and open houses! Call to find out about our End of the Year Incentives! Read our blog, connect with us on social media, or simply signup for our newsletter! "I purchased my house on 1/31/17. I have the Coronado plan. The process of adding upgrades was very easy. The closing went very smoothly. Mike was great to work with! Since the closing, I’ve had a few minor issues come up. I can’t say enough about Steven! He has always been extremely helpful and has fixed all of these minor issues or set me up with the person who can fix them. He is great! Why Should You Move to the Inner-Loop in Houston?